The answer is: Yes and No. It depends on which adverting channel you are referring to. Vanity URLs are still an effective advertising tool in Pharma that can help with marketing/tracking and they can be more memorable for our target audiences. 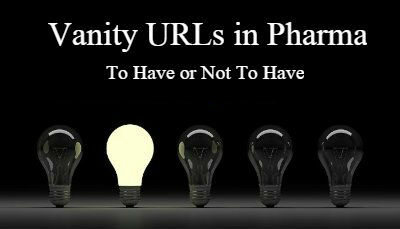 Vanity URLs have no positive or negative impact. Google has implemented a Vanity Override option. They no longer allow vanity URLs, instead they provide 6 override options to choose from: i.e. Vanity URL will be replaced with “Prescription Treatment Website”. We would need a vanity URL for Unbranded ads since Bing/Yahoo do not offer any vanity override option.